Falls in the bathroom are a common occurrence, especially among the elderly. It’s a terrifying prospect for seniors because it can mean the end of their independence, but as we’ve mentioned before, it isn’t just the elderly that can suffer, or even die, as a result of slipping in the tub. There are some really great things you can do in the bathroom to make it fall-proof. Nonslip floor mats, handrails, and night lights can keep people of all ages steady on their feet. But, if you’re only focusing on slipping and falling in the bathroom, you’re missing some of the other dangers that deserve your attention. Here are a few bathroom dangers that go beyond slips and falls that will keep you safer in the most dangerous room in your home. Many drowning deaths in the bathroom are a result of a slip and fall. Unfortunately, the risk of drowning doesn’t end there. You can still end up drowning, even if you don’t fall and become knocked unconscious. Dry drowning is an important safety consideration when you take your kids to the pool, but swimming around in the bathtub can also result in a dry drowning. It’s best to tell the kids that the tub is for bathing, not for swimming, and to keep their head above the water when they’re in the bathtub. Another reason to keep your head above water in the tub? It’s easy for long hair to get stuck in the drain. This is true in traditional tubs, but even adults are susceptible to having their hair trapped in a Jacuzzi tub. Sometimes it’s what we can’t see that can have the greatest effect on our health. Mold is one of those things, and it’s most likely to grow in the bathroom. 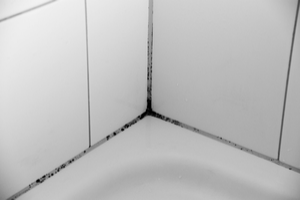 With a warm, humid environment, it’s easy to see why mold is most often found in the bathroom. Unfortunately, it can grow and multiply behind walls, vanities, and toilets where it’s out of sight and out of mind. As it progresses, your entire family may start to notice allergy- or flu-like symptoms. If you share your home with a person with asthma or a mold allergy, mold can be downright dangerous. Make sure you have a properly functioning exhaust fan and turn it on whenever you take a bath or a shower. Don’t hesitate to call in a mold inspector if your bathroom smells musty, if your allergies have been acting up, or if you see the telltale signs of mold spots on your walls. Keeping meds away from children is important. That’s something you already know, but did you know that meds can cause problems for the adults in your home too? Medication can become expired and it can be altered due to the moist atmosphere in the bathroom. Unlabeled pill containers and gel capsules that are no longer in their boxes are a huge problem too. 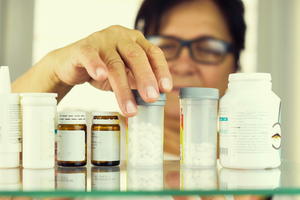 If the medication in your cabinet isn’t properly labeled, someone may unknowingly take something they shouldn’t. Did you know the best place for your medication isn’t in the bathroom? Instead, make sure your medicine is properly labeled, toss expired meds, and store them all in a cool, dry, dark place, like in a kitchen cabinet instead. By all means, make sure you reduce the likelihood of slips and falls in the bathroom, but don’t worry about your footing to the exclusion of other things that can go wrong. With the tips on this list, you can make the bathroom one of the safest places in your home!